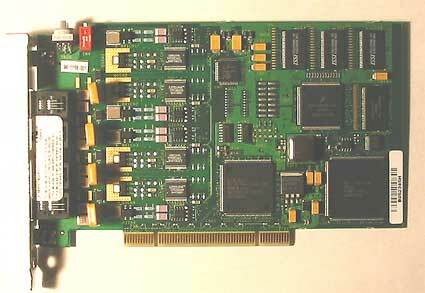 Dialogic D/4PCIUF ( D4PCIUF ) is Intel's latest 4 port computer telephony card. The D/4PCIUF operates with IBM compatible 486 and Pentium computers. Drivers are available for both Windows and Linux. The D/4PCIUF's Line Interface Unit (LIU) is a sophisticated analog loop interface, and the first capacitively-coupled interface card (transformerless). It offers exceptional signal clarity and trans-hybrid rejection. The D4PICUF supports multiple line and multiple board recording and playback and expertly analyzes call progress and pulse-dial signals. The D/4PCIUF requires an IBM compatible Pentium or Xeon class computer and Windows or Linux software.